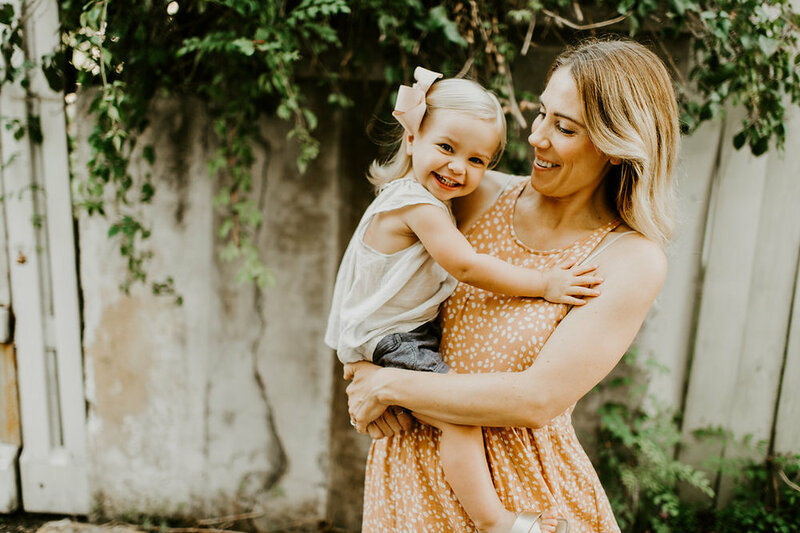 Lauren is a ceramic artist, entrepreneur and mother to a two-year-old BWH in the making. She started Lauren Ytterbom Ceramics in 2016 — with roots in classic form, modern functionality and Scandinavian design — and has been creating stunning porcelain and stoneware pieces from her home studio ever since. 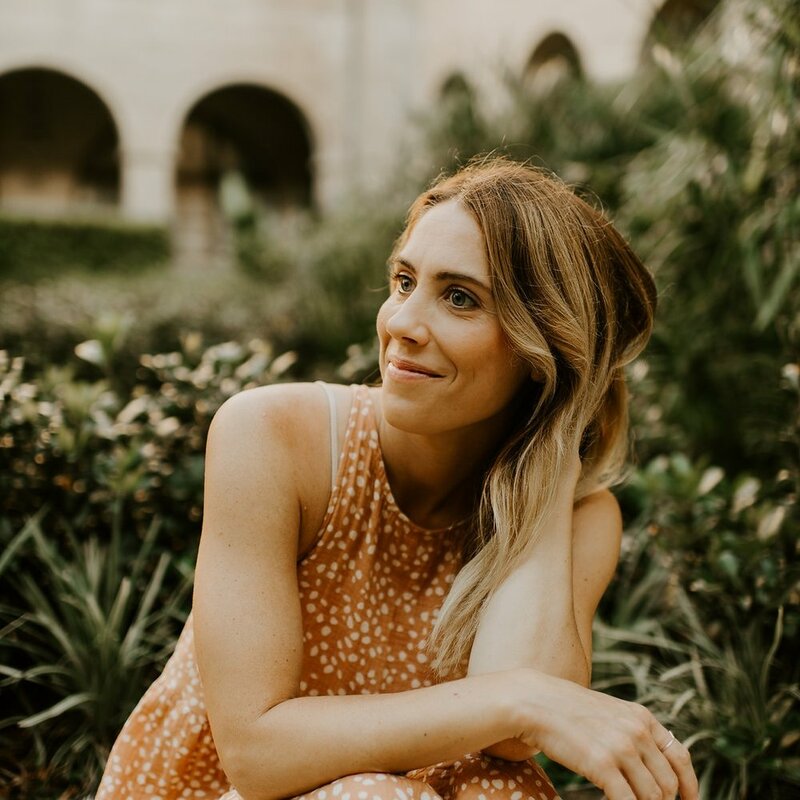 Inspired by her time spent living in Sweden which included some incredible opportunities to work under distinguished artists, this St. Augustine-based babe is hustling hard to live a fruitful, artful life as a maker, business owner, traveler, wife and mama. Brittany Steigner is one of my closest friends and a babe I definitely admire! She is a super-talented modern dancer, choreographer and supporter of the arts. She thrives in many different environments and invests so much of her time into local communities. Brittany is a Saint Augustine native and is currently living and working in Omaha in refugee resettlement and connecting refugee artists to arts organizations in the community and giving individuals space, opportunity and resources to continue to create, even in the midst of just trying to survive. She does all of this while being an amazing mama and wife and an advocate for Down Syndrome awareness on behalf of her daughter, Annabelle. Most of my free time these days is spent with my almost-2-year-old daughter, Tove, and my husband, Simon. We love traveling, and because all of my husband’s side of the family lives in Sweden, we are back and forth between Europe and the States regularly. When I’m not working in the studio, you can usually find me frequenting local coffee shops and restaurants, listening to live music, swimming at the beach, writing, painting, running or practicing bikram yoga. That’s tough. I really love food. Probably a huge breakfast. Sweet potato pancakes with fresh berries, yogurt and muesli, eggs, coffee. I could eat breakfast any time of the day. I would love to learn how to play the cello. I’d also like to master at least two foreign languages. I’m working on my Swedish proficiency and I’d love to be fluent in French just because it’s a beautiful language. First and foremost, I’m a mother to a 21-month-old babe who I’m in constant awe of. Even though she's almost two, I feel like I’m still settling into this new role of motherhood. She keeps me busy and I’m in a constant state of evolving, learning and growing as a parent right alongside of her. I’m also an artist—a ceramicist and owner of my business, Lauren Ytterbom Ceramics. I handmake functional, modern ceramics. Everything I do is thrown on the wheel. I source clay locally and make as many glazes as I can from scratch. At this point, my business is a one-woman shop and I have tons of different tasks I’m responsible for in and out of the studio. My day usually starts early with my husband’s alarm going off around 6 a.m. and Tove and I are up soon after. We start the day with a wholesome breakfast and I’ll have my morning cup of coffee. After I take Tove to daycare, I hit the studio. I typically turn on music or listen to a podcast and make a second cup of coffee (let’s be honest—I drink a lot of coffee!) Depending on my production schedule, I alternate between throwing on the wheel and glazing weekly. On weeks I’m throwing, my day consists of weighing and wedging clay, throwing work, trimming and attaching handles. Somewhere in there I eat lunch, answer emails, tend to orders and update social media. Other studio days are spent mixing glazes, firing and glazing pieces. When did you discover your passion for ceramics? I’ve had a creative spirit and have been making art in some capacity for as long as I can remember. Whether it’s creative writing, dance, film, drawing and painting or music, I love it all. My grandmother was a visual artist and my parents have definitely been influential by encouraging the arts from an early age. Practicing dance and piano as a child and growing up going to fine arts camps in the summer was the routine. I attended high school at Douglas Anderson School of the Arts as a painting major and continued studying art into college. Before graduating with a bachelor’s degree in fine art from Flagler College, I had the opportunity to travel to Florence, Italy for a summer session. It was my first time in Europe and I was able to experience it with two of my closest friends, which was amazing! I started doing ceramics while I was getting my master’s degree at New York University. I fell in love with throwing and it became my creative outlet while I was studying and working as a creative arts therapist in New York City. When did you decide to start your business? It wasn’t until 2016, when my husband and I were living in Gothenburg, Sweden, that my direction truly shifted towards ceramics as a career path. I was very motivated by the energy of the city and myriad of ceramicists and independent designers. During that year, I spent some time in Copenhagen, and had the opportunity to work under Eric Landon, of Tortus. [Editor’s note: If you’ve ever been mesmerized browsing the #ceramics videos on Instagram, you’ve seen Eric’s work.] I met a really great handful of artists. I think it was encouraging moments and conversations I took away from that experience that gave me the final push to just go for it. I gather inspiration from nature and my environments, honing in on color and organic forms. I’m also inspired by the energy of other creative individuals and ideas flowing and shifting from one place to another. I definitely have had my share of creative burnouts. When that happens it usually means I need to step away, regroup and slow down. My aesthetic is a complement of classic form and modern functionality, with its roots in Scandinavian design. I use a lot of soft, matte colors and gold detail in my work, which stands out. Also, I don’t limit myself to one type of clay body or material. I continue to stay fresh by working in porcelain, stoneware, speckled stoneware, etc. As soon as I start to feel too comfortable with one particular clay or glaze combination, that’s an indication it’s time to switch things up and continue to evolve my work. I love to incorporate different materials into my pieces, like wood, leather and recycled fabric. It’s something I see myself doing even more as my brand grows. How do you tackle owning a business in addition to being a wife and mother? When I was first starting out, I really struggled with this. My daughter was an infant, and I was exhausted working around her sleeping and feeding schedule trying to squeeze in as much studio time as possible. I have a private studio that we fixed up so I could easily work from home. As expected, I usually ended up working after dinner and late into the evenings and would wake up in the mornings totally drained. This past year, I’ve made the conscious effort to separate my work and family time as much as possible. I get help with Tove three days a week and as much as I miss her during that time, I think it’s incredibly important for all of us. My work is stronger because of it and my time spent with my family is quality time. I have to constantly remind myself of this; sometimes it’s difficult not to have my mind elsewhere, especially when I have deadlines and things that “need” to be done. In these moments, I remember to slow down and remember that most of the time, whatever seems pressing can wait. Sarah Van Raden, of Notary Ceramics. I’m in love with her aesthetic and really admire her work. She handmakes very minimal, wheel-thrown pieces and creates stunning imagery of her process and final work. I’m also inspired by Anastasia Tumanova (We Are Clay Studio), Tasja P. Ceramics, Amy Hamley, and Lindsay Emery of Suite One Studio. I’ve found that when you wait for inspiration or the perfect ideas to come to you, it will only hinder your productivity. Wherever you are in your career or your journey as an artist, don’t stop creating. When you get out of your own way and allow yourself to engage in the creative process, the ideas and inspiration will happen organically. Having the creative freedom to make what I want to make without feeling constricted, while also being able to travel and provide for my family. Commit to finding your truth and what it is that makes you feel joy and makes you feel alive. Go for that one thing that doesn’t come from competition, but comes from being one with what you are doing. Practice discipline, patience and kindness and share yourself with others. I’m going to Sweden and Norway for a month this summer to rest, spend time with family and travel. I’ll also be working on refining my photography skills and designing and planning new collections for the fall. I love supporting and creating custom work for local businesses, so I plan to continue with that and also begin offering more workshops and possibly classes. As my business continues to grow, I hope to expand into a larger studio space with a storefront.